August 2, 2009, New Orleans — The Coast Guard medevaced a 56-year-old man who was bitten by a shark while fishing near Breton Island approximately 65 miles southeast of New Orleans in Breton Sound, Saturday. At approximately 10 a.m., Coast Guard Station Venice received a radio transmission from the motor vessel Predator that a passenger aboard the vessel had been bitten by a shark. Station Venice contacted Coast Guard Air Station New Orleans who launched an MH-65C dolphin rescue helicopter and crew. 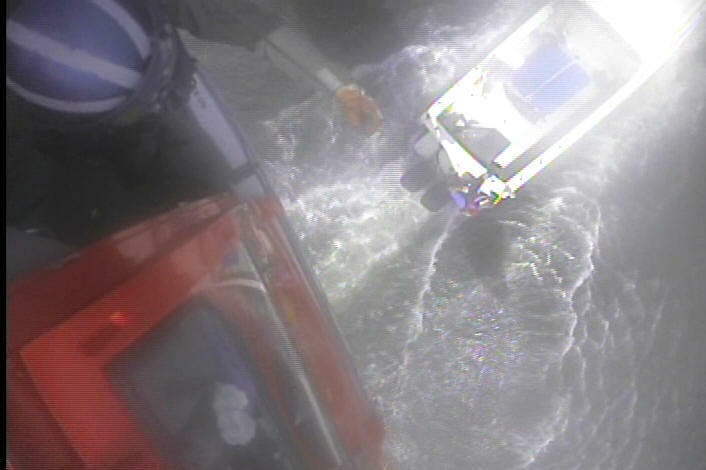 Once on scene a Coast Guard rescue swimmer was lowered to the boat and determined that the man, who is from Jackson, Miss., needed to be medevaced. The MH65C helicopter arrived at Coast Guard Air Station New Orleans at approximately 11:40 a.m., where local EMS transported the man to a hospital. His condition is unkown.